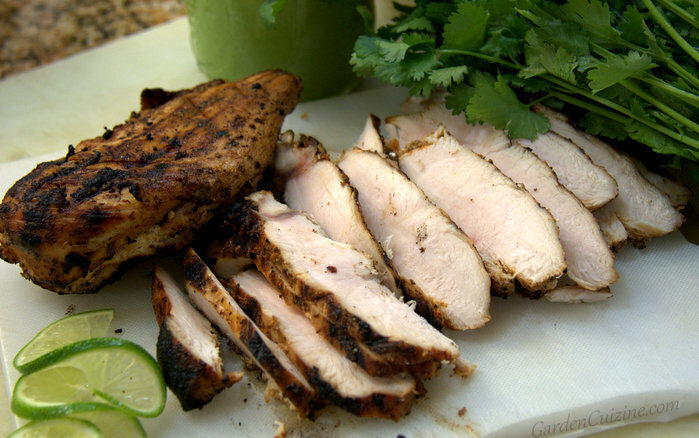 Try this quick marinade for the best grilled chicken or tofu. 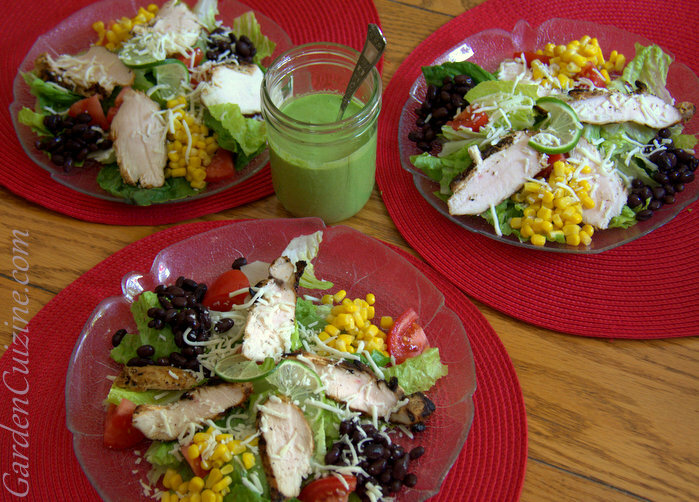 Serve grilled boneless, skinless chicken breasts sliced on a bias (diagnal) on top of a Grilled Chicken Caesar Salad or a Southwest Salad. Your family will love this recipe as much as your company! Great for holiday and summer BBQs! If you're vegetarian - try using pressed tofu. Tofu can be frozen first; thawed then pressed to squeeze out water before marinating. Two large chicken breasts serves 3 to 4 people when sliced on top of salads. Combine all ingredients in a sturdy zip-lock baggie. I use freezer baggies since we purchase chicken breasts in 6-packs when on sale and freeze some. Add two chicken breasts to baggie and squish around to coat the chicken. Marinate for a few hours or overnight. Best if baggie is kept flat on a plate in the refrigerator. For marinating a large batch: coat the chicken breasts and marinade ingredients together in a bowl rather than using a baggie.